Nice to see a fellow countrymen in this.I'm in as well! Happy to hear that. I'm joining this time from the Valley of the Thracian Kings. The cabal has resorted to attacking star children with programed mind slaves. Cobra: We are with all of you in Egypt. Question: Does the name Cathy O'Brian ring a bell? Jelaila's Weekly Message - Is Someone Else Getting Your Blessings? So that's where mine are! I AM with you. WOW what a ride. An amazing awakening for the ONE. Such a relief not to be alone anymore and know I AM loved through LOVE. I AM so thankful and full of gratitude. Victory to the LIGHT. Yahoo!!! I'm with you all the way Cobra! Imagining the pyramid in Egypt... open that portal! Victory to the Light! 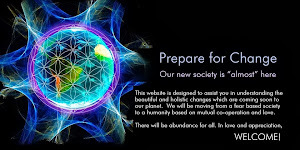 This is great...lets all create a beautiful, peaceful and abundant new earth! "I never thought I'd call myself a Lightworker... part of me thinks it sounds... well hokey..., New Age, presumptuous... - there I said it. I want to be authentic. Well, I guess I really haven't given myself credit. I AM a Lightworker!" The word 'Lightworker' irritates most people because they don't know what that “airy-fairy New Age stuff” is all about. Can those “Lightworkers” be taken seriously or are they practicing witchcraft? I vividly remember the day when I called myself for the first time 'Lightworker'. It was in 1983, in Hamburg, Germany. Back then there was no Internet. We New Agers met in living rooms where we studied and discussed the Seth books and others. For the first time we heard that we ourselves create our own reality! This was incredible, yet heretic news! We needed to communicate our thoughts about this with others of like mind. Then larger gatherings took place. In 1983 I went to a lecture presented by a couple from the U.S. They looked like Hollywood stars and channeled on stage the Ashtar Command, Athena, Merlin, and others that I don't remember. I worried whether this was all mass hypnosis and brainwashing. A few days before I had read Rhea Powers' “Call to the Lightworkers” and I strongly felt the call reverberating throughout my being. I remembered that I AM a Lightworker. The time has come. I've been waiting for decades for this last month of the year 2012, as a matter of fact I waited my whole life for this monumental event, called The Shift of the Ages. I'm buzzing, I'm grinning, I'm exuberant, I'm walking on cotton, I'm oozing Love! This was a wonderful read! Thanks for posting! Loveworker/Lightworker history being made! What a nice time that must have been. Connecting in person is the best. But information distribution over the internet is more efficient, and easily accessible. There's nothing as good as seeing another's eyes right in front of you. Love embrace all the entire world. 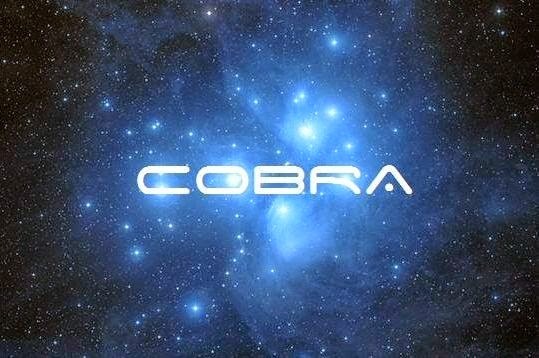 Thank you to all of our Cobrasssss family, for holding the Light and Love within your pure and peaceful hearts. 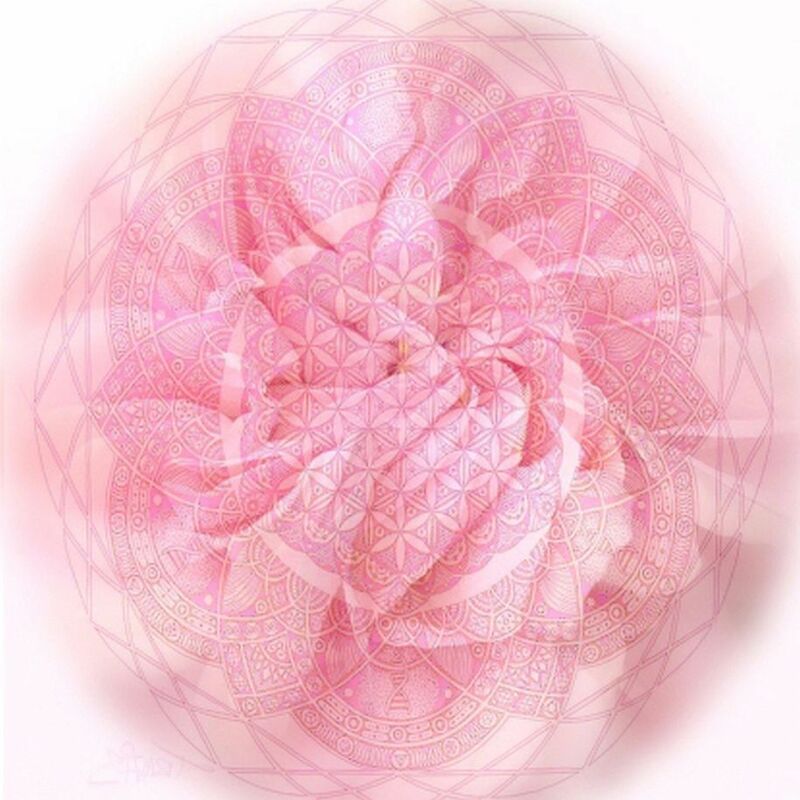 On this journey, we have learned and grown together, into an exquisite mandala for the Shift of the Ages. Thanks & Love to the RM, and all the Light Forces, Light Workers & Light Warriors everywhere & in all timelines and dimensions, for your vision, your fortitude, and your unerring faith in the Plan. You are an inspiration and heroic beyond your imaginings. 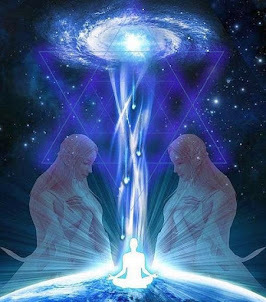 As the portal opens, and we are awash in the blissful frequencies of Divine Love, we will experience the undeniable and eternal knowledge in our hearts that WE ARE ONE, and WE ARE LOVE, and a massive healing will take place within ourselves and our world. Feeling so very blessed and honored beyond measure, to be sharing these moments with you all. MUCH LOVE AND GRATITUDE and wishing each and every one of you and your beloved ones joyful Miracles in the New Earth that now awaits us. I second that IAML. Thanks to you also for being such an example of strength and light to us all.You are the queen of unwobblability! Oh, I love that, UNWOBBLABILITY! 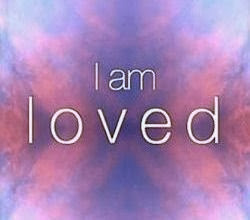 Yes I AM Love, very beautifully said. Spent most of the day in nature in a lovely narrow canyon of stones and trees with 2 other goddesses and we were just soaking up the loving energy and sharing it all with Gaia. Our heartfelt ceremony was so easy and natural and everything seemed especially beautiful and clean. 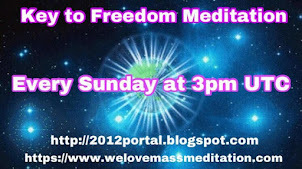 We are ready to step in to our role as Master Healers and show Gaia our True Love from the Sacred Space of our Heart! I feel renewed! Connecting from England, love to all! Fascinating & exiting info coming out of Eygpt. Robert also said 3 incarnated archons have been arrested by the resistance and/or positive military but they can't release the names yet. These will be highly recognizable names. That leaves 12 left by my count, but there may even be less than that left. There were 300 a couple of months ago. After THE EVENT the high tech self-luminescent Argathan tunnels in the complex will be revealed to humanity. The walls are made of a substance that self-illuminates without electricity. Our sound connection was not the best but I believe Robert said Zahi Hawass is no longer in charge of the Giza complex. He is not well liked at the Giza complex and had near dictator powers there for years. Robert also said Zahi Hawass was hiding various finds and that he built a warehouse behind one of the pyramids and was digging covertly from inside the warehouse hidden from public knowledge. The Mubarak regime had also built military bases on top of key archeological sites to cover their excavation and to keep them from archeologists and Egyptologists. More information will be forthcoming, including a map. 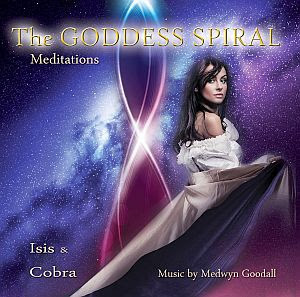 Hi all-I was just wondering if Cobra was going to put up the post about accessing our Akashic records from the Sphinx and the meditation that goes with it? I saw mine. They just popped up during the meditation today. It looked like a deck of cards spread out from left to right in front of me. I could 'see' each lifetime if I concentrated on it, kind of like what happens when you click on a link without having to 'click'. I did a short life review. Favorite life (for me), 'best life' as far as learning (for them--painful for me--this life now), and they had an answer to my question: did I do in this life what I was born to do? The answer is 'Yes'. I blogged about it more today. (www.reikidoc.blogspot.com). I saw a lot on this meditation, just like I did while I was at the Laguna conference with the Cobrasss. Cobra family, I love you! Namaste. Feeling blissfully grateful for every experience, every feeling, every emotion...we are all so important, each of us could not exist, could not do it without the other. My humble thanks to everyone for assisting in my awakening and return to love. I honor each and every one of you. I Am Spirit Who Flies in the Wind. Many wise teachers are now saying that it's imperative that instead of bringing the light in from elsewhere through our crowns (which can assist in anchoring a false and harmful light onto the planet) that we bring our own inner very powerful heartlight out, let it expand around us, and anchor THAT to the earth. This ensures that no manipulation can occur, and that we are doing the greatest service to ourselves, one another, and to the planet. Makes sense to me! There is much manipulation going on (even some that's extremely well disguised and difficult to see through), and we don't want to anchor those energies even further on this blessed place. It's all about the heart, that's where enlightenment occurs, not the head. I'm quite curious as to what exactly is 'false light' ? I think it is strange that NOW, they come out saying this last minute at 12/21/12.also, the head is part of the body, part of the being, and very much part of enlightenment..certainly being overly cerebral is bad, but true enlightenment does involve the head as well. false light? hahahahahahahahaha nice try. @Shiloh: I know and saying this for years now, and I'm not the only One. And when you kindle that FLame more and more you understand that you don't need no light from the outside...Then you understand that you ARE the Light and a unique emmination and manifestation of that Light. Hope this helps you all a little bit on the way. Shiloh, I apologize for posting that so late--right before the 12/21/12! Such a busy time of year, should have made that post earlier. 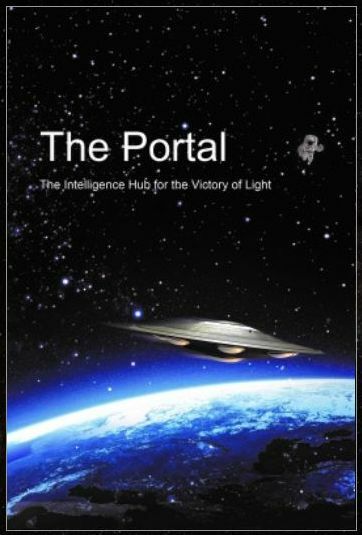 The 'false light' is the light that the beings who might be involved in a fake landing would use, and who will be posing as 'love and lighters'. The way to avoid any manipulation here is to use your heart, and the powerful starseed energy that we have, which we can powerfully anchor onto the planet, instead of pulling in a light through our crowns, which might come from a source that is part of the deception. It's easy to discern the deception coming from the dark forces, but not so easy when it comes packaged as something that is presented for our awakening. We have to be able to tell the difference at this stage, and to get better at it all the time, as the deception might get more blurry. I fully realize that the ones who are assisting people in anchoring the false light only have the best of intentions, but through going through our hearts, we can avoid the manipulation. Only trying to help! 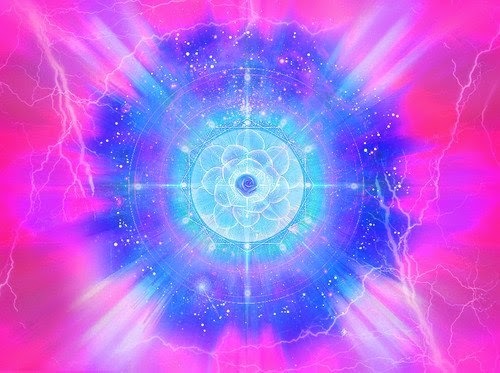 If you bring light in through your crown chakra via visualization just make sure you know which energy it is. Dont bring energy from some cloaked ship into you and give it to Gaia this is garbage. Know that you are visualizing Source energy, the energy of creation, the energy that makes up every physical atom in existence. This is what some of them are refering to as "Organic energy" and it is the only real energy there is. Aside from all of that, you all must have heard that we are moving from the head to the heart, and that that's the new intelligence center. Also Gregg Braden talks about the heart being 10,000 times more powerful at manifesting than the head. It does make a whole lot of sense to me! The mind is of the old paradigm, and the heart is the new one. Sounds good to me! Luckely I safed a part of it so I try for the 3th time. Please explain "state your case" I'm not familiar with that term. "Exactly Aradia!!! I believe in SHINING my own Light (bringing in light or sending light...bin there done that and grow beyond that)...following my Heart and my Passion. But this al don't mean that I not meditate...ofcourse I go within...for answers,Transformation, Silence or sipmly Being once or twice a day." But its even more important to Be that Light the whole day...Asking my self "How can I make this day a little bit better for an other" Being of Service to an other. Oh, one more thing! I just thought about how they were talking on "Healing With The Masters" that in "The Secret" they left out the 'secret sauce', the power of manifesting with the heart center. Also, I heard that the people involved with making "The Secret" were involved in lawsuits with one another (don't know if that's true), but it was said it was because through manifesting from the head, because it's split into two hemispheres, that you get a world of half peace and half war. Hmmm, just some food for thought. But to those who think there's no such thing as 'false light', you can research that, because we can't be ripe for the deception by not realizing that there is! You said it all! I join together in that sentiment. Today was an amazing day! the information I have been getting and sharing with others on the “ground crew” is prismatic type implants have been placed particularly around the heart area to separate white light, the discordant energies cannot access white light without being absorbed, into frequency ranges they can access. The chakra system gives them easy access to our survival, sexual, power etc. centers. Bringing awareness to our I AM presence our inner Stargate (I say bringing awareness rather than connect to since unity doesn't need to connect to itself). Needless to say googling remove chakras will yield more information. Many of our technologies and modalities are now designed to work on disfunctional systems as this changes the technologies will evolve and become simplified with permanent effects. I'm afraid the poetry and information about chakras dissolving is misleading and incorrect. We all know that our chakras are vortexes, transformers and GATEWAYS that are NECESSARY to bring in higher energy so that it can be distributed and then flow through our energy fields so that we can then radiate outwards, and ground it into the Earth. They are centers of consciousness. They are not 'dissolving' but instead purifying - as we remove the lower/denser energies. We are ADDING 4th and 5th dimensional chakras to the 7 physical chakras, which more fully connects us to our subtle bodies and MERKABA / LIGHT BODY, and help us to create our DIVINE BLUEPRINT. Our crown chakra (the head) is particularly important in this function, especially now that we are bringing in the Platinum Ray. Surely you are aware of all of this ! wel I Am we have a different point of view and a different Path I understand. I wil keep writing on this because its an important piece of information that was lost...And as long as my my writings show up here (Thank you for that Cobra) I wil share it. If there are people who don't want to read "my" input...Thats oke, don't read it...its easy to skip over my reactions I'm sure. Well, I`ve not felt anything today unfortunately. soooo how's everybody Feeling today ? Had a very good experience at the meditation. Connected with the energies of the ship up above and felt a beautiful opening of heart. I did my meditation and besides having few vibration feelings and a "we are here" words pop in my mind nothing spectacular was present for me on 21.I hope cobra and the rest of you guys had more interesting results.But what is the plan from now on? The weekly liberation meditation is tomorrow.Will we be doing that?Updates from Cobra would also be a nice thing to see. thank you and thank you – many heroes from Resistance Movement, for your efforts, hard and even heroic work for Mother Earth was able so painlessly go through Hers shift during 12/12/2012 – 12/21/2012. Thank you my countless friends for fixing intention in our Realm, telling to Higher Beings for necessity of changes. Now this beautiful planet turning from Death Camp Planet for Mankind into Hospital Planet. The second Earth group Realm with hospital regime. As we all can see – people from Upper Earth and other Upper planets never gone from this Middle Earth till Mother Earth's shift. Seems that it is for to prevent a civil war in the many places on this beautiful Planet. So many of us – we know that in future this Middle Earth will be populated by former inhabitants of Lower Earth. Inhabitants of Hell, as many of us mean this place. These people – about 90% of population among us are coming from here and most of them during their lifetime have passed exam for to stay on Middle Earth. Now at doorway is time for disclosure. 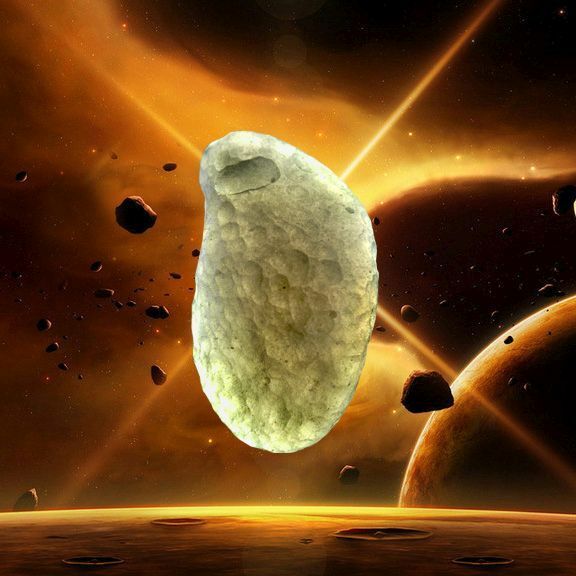 Also time for introduction of nature-friendly hidden and extraterrestrial technologies are coming. May be at this time rigidity of some clerks and entrepreneurs, scientists and engineers, inertia of their thinking must be removed. We all know that many of them are members of well known Fraternity, witch initiations automatically adds people to Lower Realms. I'm don't know – knowing English speaking people about LEGAL PROJECT of Legatee of Creator of Solar System for to return conscience to impudent people, especially to ruling class people. Or not. Usually this Higher Being is associated with name of God of Thunderstorms. For to start any particular case for to return conscience it is enough for to 3 times clap hands, 3 times pronounce His name for to summon Him and tell Him what immoral this man or woman does, what must be done for to return him or her in norms of morality by even annoying voice of conscience. This method must not used on innocent people. So reprisal will come very soon without forgiveness and any kind of rehabilitation. If you intend to use this method on somebody, you must be absolutely sure about his or her guilt. So here is many ways for to rebuild this society. Dear Cobra, if it is not exhausting for you and for your Source, please continue for awhile coordinate our efforts. If you or somebody else will ask my personal experience in 12/21/2012 – for me it was turned out as Day of my Liberation. However I had put my outpacing intention to 11:12UTC 12/21/2012 as you was asked. In this moment I felt something like acceleration, uplifting and flight through dark space, where only I was a source of light – probably because in these intermediate Realms I'm not developed as a Spirit. However I started to fall in faint – I did not lost my consciousness. Seems that I had some bit experience in these intermediate Realms. But any pressure on my mind had gone and did not returned – so it was my liberation. About electrical shift currents appeared by Realm shifting. I was right by meaning about them above. But I was wrong about short duration and high power of them. Actually this time was extended from 12/12/2012 till 12/21/2012 and power was lowered, so consequences of it were reduced at least as possible. At these days almost all of us had experienced more problems with electronics and computers as we used before. Now these problems are gone away. By ending my message, I wish to you all joyfyl solstice celebration festivals and happy coming New Year!!! It sure feels Good ! 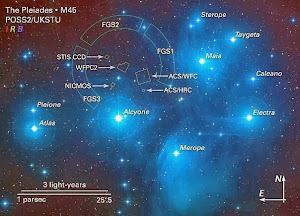 Wonderful news coming from Egypt ... gratitude to the team for anchoring the vortex there with the unconditional LOVE and LIGHT coming in from Source and the Galactic Core. Your original post was taken by myself and most likely by others, to be in the best of intentions. We simply have a difference of opinion here. There is no question that we are moving from head to head/heart. Of course. Agreed. It is a beautiful thing. It would seem as if you think that George K is a wise teacher. I don't view him as a source of much spiritual authority and will stop at saying, that I and others, think that his information and some of his methods are.. questionable. I've posted other replies, but they haven't appeared! I realize many peoples' feelings on George K, but others I consider to be wise feel the same (including Marthe!). But regardless, there are deceptive energies that are posing as 'light' (and are part of 'the matrix) and we must be able to discern the difference. Nevertheless, using our hearts, and bringing our own powerful inner starseed light out, will make us impervious to those energies, and will anchor a powerful healing energy to the planet. I agree, definitely many paths, but we must be vigilant about seeing the blurry lines between the false light and the real deal. Again, the heart is the key. Also agreed, the Event and Golden Age are wonderful to look forward to. Nobody to say, where is Cobra? Where are cobrass? Is everything OK? Delighted to hear it Cobra old son!! I feel confident that you will, when you can, enlighten us as to what is ocurring. The following message seems pertinent, and might explain the 'silence' that has been a bit ominous since 21st Dec. I also feel assured that as this message is already 'out there on the WWW', that I am not betraying any secrets in revealing its content here. If indeed the 'Russian Spetznas' have managed to secure the biological weapons from Syria, then hoora for them!! Keep the Faith guys & Gals!! "As recently as Friday, Bashar Assad's Scuds and warplanes were battling the rebels to keep his big chemical and biological warfare arsenals at the Al Safira complex near Aleppo out of the hands of Al Queda adherents who were moving in fast on this target. 24 HOURS LATER -the Russian foreign minister asserted the weapons were secure. Debka.file military sources disclose that the battle of Al Safira was abruptly interrupted by a 'foreign military force'- which stepped in and stopped the fighting in order to commandeer the chemical and biological stocks. We are orbs of Rainbow Power. Not refracted rays of Light. Let go of the control systems and Be in your Power. You have a responsibility to Ceator and Source to Be what You ARE! I'm hoping that with all of the wonderful work you are doing for humanity and the planet, that perhaps there can be more focus in the future on the heart, and our own inner light. It's obvious that your heart is in the right place, and that you have done much difficult work for a very long time for all. Thank you!!! It would be especially great to focus more on the heart, as again, according to Gregg Braden, it is 10,000 times more powerful at manifesting than the head. It would be grand to add that much more power to all the great work you are doing;). By the way, now my other messages I posted just appeared. Couldn't see them before! Thanks for posting them, don't know why I couldn't see until now, may have been my computer:). Thank you for your response. Our hearts are One. Perhaps it would be helpful here to speak about the function as a Light Warrior. The function of a Light warrior is understandably protection and defense. Light warriors might be compared to our canine friends who work in service at the airport. As they sniff through the mountains of baggage, they are entrusted with the safety of the lives of others. In effect, this is very much what happens. Just as our canine friends, Light warriors have been divinely blessed with a much finer 'sniffer' in order to fully function in their capacity to serve and protect Light workers and others, and in order to bring to light those things which could block or hinder their growth or path. The Light Warriors are silent, watching the flow of things around them. The light warrior is a staunch defender of the light and of truth (in all its various forms). The light warrior respects all paths and beliefs, but is quick to jump to the forefront of things if there is something vital to be said. Often times the message the light warrior brings is against the grain, against the fabric of what most lightworkers believe or hold. The human need to enthusiastically share beliefs with others is interesting from a psychological perspective. It can be altruistic and a even a necessary component of human evolution, in that it involves the sharing of behaviour which enabled more successful living. Sharing of information is a key component of all learning . Yet exposure to beliefs at odd with one's own can have a great emotional impact on the recipient as described by the concept of cognitive dissonance. This concept suggests that we have an inner drive to hold all our attitudes and beliefs in harmony and avoid disharmony (or dissonance). Cognitive dissonance is a term used in modern psychology to describe the feeling of discomfort when simultaneously holding two or more conflicting cognitions: ideas, beliefs, values or motional reactions. In a state of dissonance, people may sometimes feel disequilibrium": frustration, hunger, dread, guilt, anger, embarrassment, anxiety, etc. The phrase was coined by Leon Festinger in his 1956 book When Prophecy Fails, which chronicled the followers of a UFO cult as reality clashed with their fervent belief in an impending apocalypse. Thus, Cognitive dissonance refers to a situation involving conflicting attitudes, beliefs or behaviours. This produces a feeling of discomfort leading to an alteration in one of the attitudes, beliefs or behaviours to reduce the discomfort and restore balance etc. Cognitive dissonance isn’t always something bad — it has been successfully used to help people change their unhealthy attitudes and behaviours. I just want to bring attention, including my own, to the responsibility we have when sharing information and that it helps to be aware that it can cause worry and distress to others, and the benefits of employing a degree of empathy when presenting material. That was very cool info. Thank you. I'm sorry if I was not empathetic when I presented the info about the heart, etc. It's very insightful to read what you've presented. I guess I was naive when I thought I'd be greeted with excitement and enthusiasm and gratitude when presenting info about the heart, and how to more powerfully manifest our desires and a peaceful world! I need to work on my delivery. Again, my apologies! And I do really apologize again for my horrible timing!!! BAD!!! Thank you! That was a beautiful quote--I must save it! That definitely rings true, and applies to me attempting to bring the info out about the heart, etc. I appreciate that.